First we had Each Other, then we had You, now we have Everything. Love it!! Our wall decals are ideal for bedrooms, offices, living rooms, entryways, classrooms, even your car, bathtub or glass shower doors! 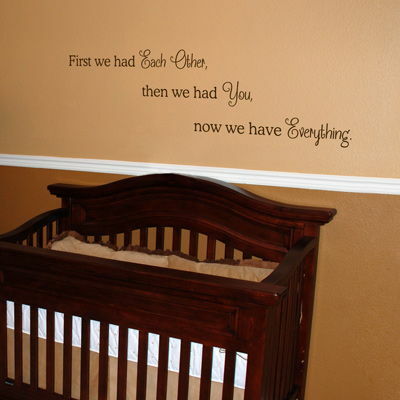 This quote decal measures 42 inches wide by 12 inches high, as shown. 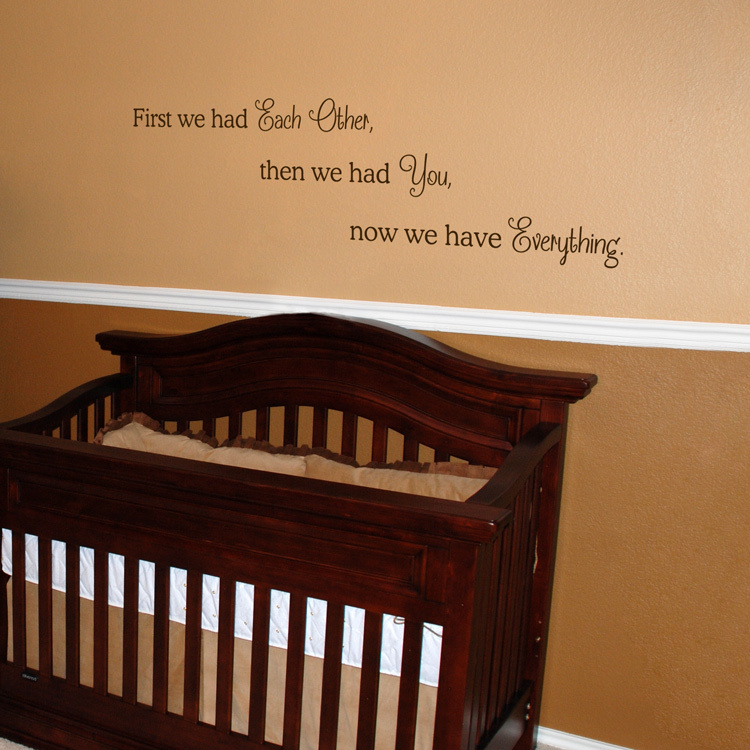 This quote decal comes in 3 sections so that you can stagger the lines however you choose! I LOVE this product. I put the decals in the baby's nursery and they are just adorable and they stuck very well to our walls (plaster) which I was ify about. I will recommend this product to my friends and family. Will definitely be back for more. Thank you!!!! Fabulous decals. I ordered a set of big daisies off the site and a custom order of smaller daisies to match the big ones. It was perfect!! Vibrant colors, and super easy to install. My wall looks fantastic. Thank you so much! !